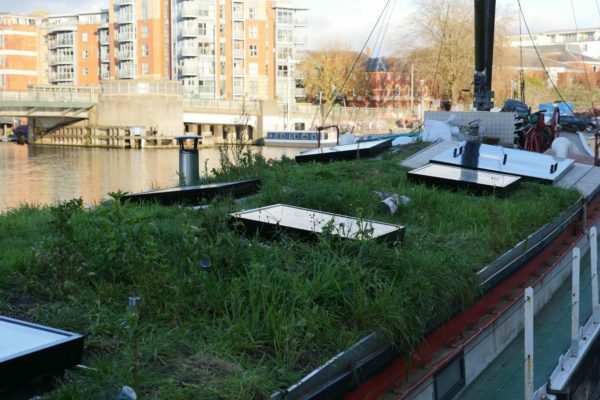 One of our favourite projects is this green roof in Bristol Harbour (opposite the Thekla floating nightclub and venue) which we completed in June 2017. 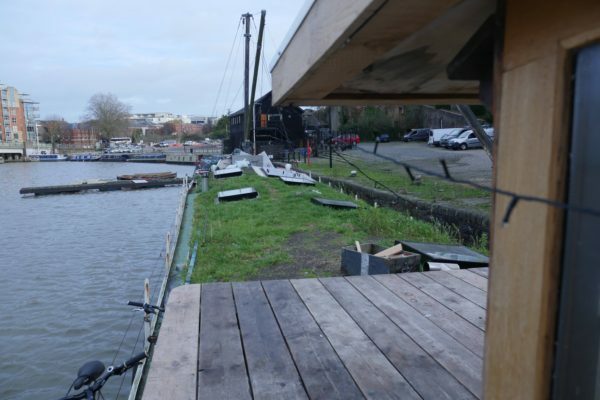 We were recommended to our client Ben, a film-maker, by the engineer who worked on Organic Roofs’ owner Lee’s own barge in London. This handsome project really shows the versatility of the very lightweight HayBase green roof method, which enables good, long-lasting growth without permanent irrigation or fertiliser. Lee first saw this method in Switzerland where he trained and has since brought it to the UK where we refined the design with colleagues from Uni of Brighton. The Barge, called The Reporter, is about 100ft long and saw service in the South West delivering goods on the Severn before being retired to Bristol some years ago. The team travelled down from London, joined by our friend and collaborator Will Sandy from The Edible Bus Stop. Installation took 3 days, two to do the waterproofing and (a very busy) one to load out the roof. The hay was locally sourced, and removed more than half of the embodied energy in the supply chain. 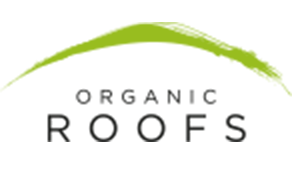 When combined with our high quality substrate, we also know that the Co2 in the hay will be permanently captured (carbonated) from reseach on the system done by colleagues at Newcastle University. Ever wondered what happens to a green roof later in the year?